Simply click on the item you wish to purchase and you will automatically be directed to the appropriate page on www.4schools.ie, where you will be requested to register you details before finalising your purchase. 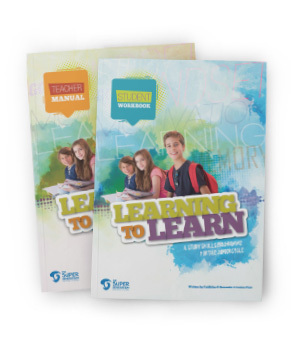 The learning to Learn workbook is designed to assist students in knowing themselves better as learners, being more organised and confident along with having a proven study system and approach to learning. 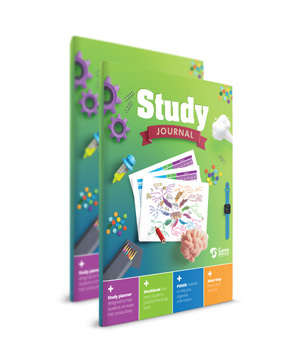 The Super Generation’s Study Journal is a results focused, purpose driven, time management tool designed to help students increase their productivity, effectiveness and application to their study. 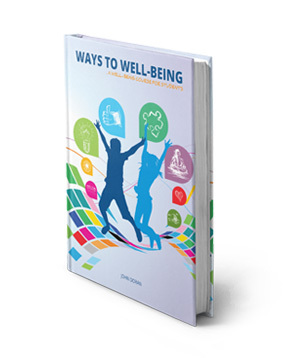 The Ways to Well-Being workbook is designed to help 15-18 year olds explore how to maintain their own sense of well-being, leading to improved academic outcomes in school and a sense of accomplishment in life. 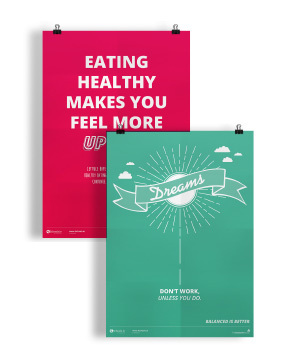 Designed under the theme ‘Balance is Best’, this series of ten charts are designed to act as a regular reminder to students of the importance of taking care of themselves, while also striving to achieve their best. In each chart the message of well-being is conveyed through a strong visual to reinforce a particular well-being theme, e.g. diet, exercise, friendships, etc..
Students need to be constantly reminded of the role of study in consolidating knowledge. 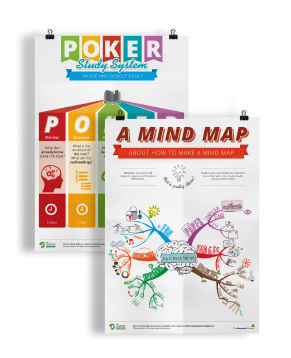 This series of ten study skills charts does this by reinforcing key study skills concepts. Furthermore, they reinforce the main concepts taught during The Super Generation’s study skills seminars. When placed around the school they are a constant reminder for students of good study techniques and also the attitude that is needed to succeed. 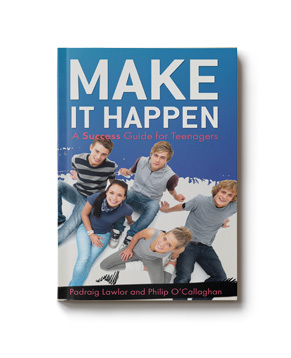 Make it Happen: A Success Guide for Teenagers, is aimed directly at teenagers, enabling them to achieve their goals. This is the first book in the personal development space which is specifically targeted at teenagers. Through story, powerful questions, and self-reflection this attractive and eye-catching book clearly shows how thoughts and beliefs influence actions and therefore results. 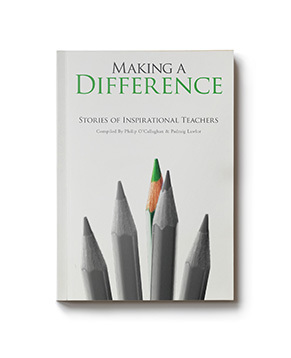 Making a Difference – Stories of Inspirational Teachers, is aimed at all educators, whether they be teachers or parents. It highlights the powerful formative impact of thier direction, encouragement and commitment on the lives of their learners. 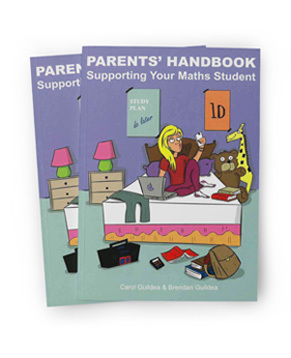 Enhance the skills a parent/guardian requires to support a student on the maths journey through second level. Give no nonsense, clear, practical advice. Assist in the quest to boost the student’s self-esteem and fulfil their potential in the State Examinations. Explain the maths journey the students are undertaking. Illustrate gender differences that give insight into how to support each gender type.